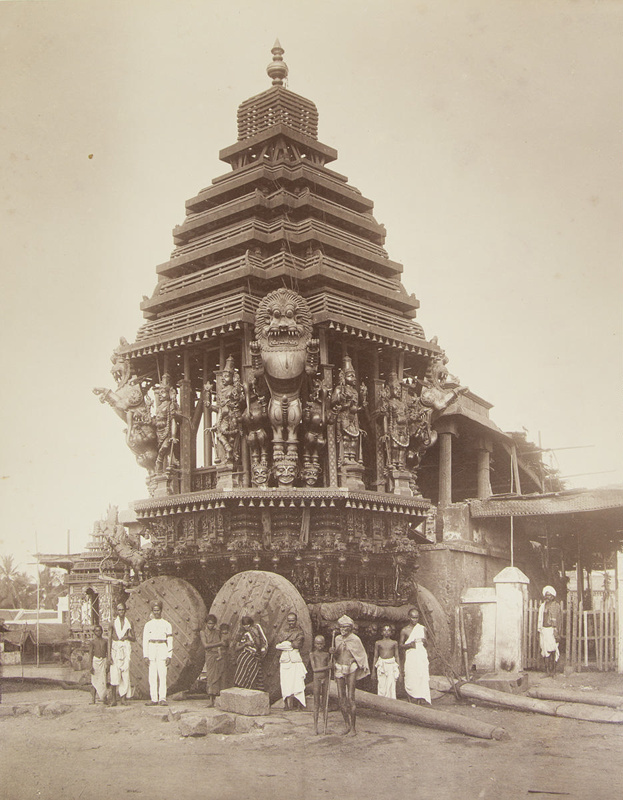 About this objectLarge temple car with a scaled five-story temple and sculptures of deities. Temple cars are used during Hindu festivals. A group of people stand in front of the temple car.